Terrorism like any other form of organized crime, is also highly strategic, deliberate, and calculative. 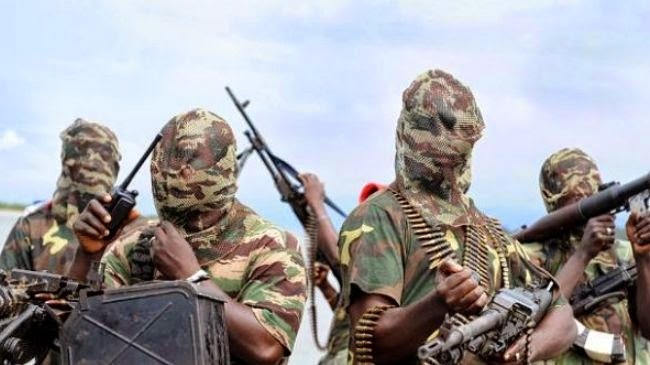 Some of the wealthiest terrorist organizations(WTO) out there have been ranked and Boko Haram comes 7th, according to estimates reported in the media, bringing to light the dark reality of the profits they've reaped at the expense of other people’s lives. The Boko Haram are a Nigerian terrorist group who fight to overthrow the Nigerian government in order to implement an Islamist regime. They have bombed UN headquarters and most recently abducted over 200 Nigerian school girls in defense of their namesake “Western Education is Sin”. Since they’ve remained off the radar since their recent attacks, it’s unclear just how much money they make from their numerous kidnappings and the subsequent ransoms they procure. It has been determined, however, that between 2006-2011, they collected over $70 million. The Lashkar E Taiba, who call like to call themselves the “Army of The Righteous”, was founded in the 1990′s. They’re a militant group originating from Pakistan who also wreak havoc on India. Hypocritically enough, apart from raging war and killing hundreds of civilians, they also establish several charitable organizations in Pakistan, like hospitals and schools. Regardless, their extremist ideals and murderous ways of executing them render them a deadly threat. Their annual revenue is estimated to be around $100 million, much of which is funded through donations from affiliate parties. The Marxist guerrilla group, Revolutionary Armed Forces of Colombia—People’s Army (FARC) has been around since the 1960’s. They’ve been dubbed a terrorist threat in their country due to the numerous kidnappings, assassinations, and bombings they’ve executed on Columbian citizens in the name of anti-imperialism. Apart from the money the make from collecting ransoms and through extortion, FARC also produces and sells vast quantities of illegal drugs that further fuel their high annual revenue. Founded by Osama Bin Ladin, the global Islamist militant organization, Al-Qaeda, a name which translates to ‘The Base” has been around since the 1980s. Having attacked several civilian and military regions, Al-Qaeda is well known around the world as one of the largest and deadliest terrorist groups. Suicide bombings are among their favorite tactics of destruction. What makes this group such a tough force to combat, is the fact that they have wide-spread, terrorist group allies. Before their 9/11 attack on the World Trade Center in New York City, the CIA estimated that Al-Qaeda made well over $30 million a year, raised mostly through donations; today, that number has surely increased. Bin Ladin was himself a multimillionaire at the time he founded the organization and about $10-15 million was reportedly paid annually to the Taliban while he was leader. The infamous Taliban of Afghanistan secures the obscenely profitable annual revenue of over $400 million from expansive drug trade, human trafficking, extortion, as well as a large amount of donations from foreign organizations that support their ill-gotten empire. The Taliban are responsible for a huge opium production operation in Afghanistan that heavily contributes to an estimated $70-$400 million that they rake in annually from illicit drug trade alone. The Irish Republican Army (IRA) has been dubbed one of the more prominent professional money laundering organizations in Europe. Originating as a revolutionary group fighting for Irish independence from Britain, the IRA fought for political control for several decades. They are considered a terrorist group due to countless bombings and assassinations attributed to them during the revolt against imposing British rule in Ireland. They now own numerous small businesses throughout the UK and allegedly use the profits to fuel their criminal acts, according to Ireland’s organized crime task-force. The IRA also builds significant revenue through drugs, tax fraud, robberies, smuggling and counterfeiting. In 2013, the Irish Independent reported that the IRA were connected to the Italian mafia to the tune of 450 million euro in property assets – this is only one link that has been made public, and prompts theorizing as to the groups further mafia links both in Italy and elsewhere. It has been estimated – as per a 2005 Guardian report – that the IRA have made the equivalent of $17 million yearly in organised crime operations like smuggling. Since the ceasefire in Ireland as a result of the Good Friday Agreement in 1999, the group are officially decommissioned and in 2005 they announced an official end to their campaign, but reports of illegal, underground money-making activities spearheaded by the group persist. The Islamic State in Iraq and Syria, more commonly known as ISIS – which was once a part of Al Qaeda – has been dubbed the richest terrorist group to date. The jihadist militant group has recently made headlines after one of their most prominent leaders (who was captured by Iraqi officials) spilled the secrets of their exploits and uncovered the grim reality of their obscene wealth. ISIS is worth an estimated $2 billion, much of this money coming from looted weapons and bank robberies. Having stripped a broken Syria of its oil reserves and even priceless artifacts from archaeological sites, ISIS has secured an enormous wealth from crime. The group comprised of thousands of members is still a very active threat, having killed thousands of civilians and government agents and still running rampant within a highly sophisticated infrastructure. They are, it is believed, the richest terrorist organisation in the world today by a large margin.